The state of education in Memphis has encouraged many concerned individuals, churches, foundations and other organizations to get involved with educational alternatives to inner-city children in order to provide the tipping point to turn around education in Memphis. 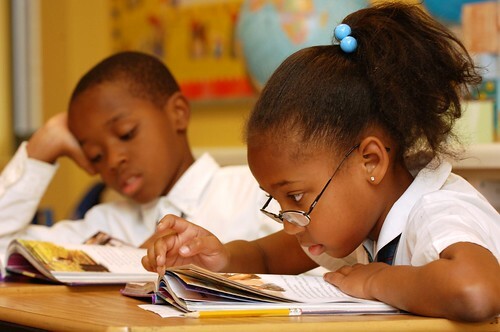 In addition to supporting several charter schools, donors of the Hope Christian Community Foundation have been quietly focusing on growing the critical mass of affordable, christian, private education options for inner-city children in Memphis. Fifteen christian schools have been established over the past ten years. This includes the re-opening of six Catholic schools in 1999. These “Jubilee” Schools now include ten schools serving grades K-8 with an enrollment of almost 1,400 children with tuition as low as $100. New Hope Christian Academy offers grades K-6 for over 360 children with tuition based on the income and size of the student’s family. Other schools with similar missions include Brinkley Heights Urban Academy, the Memphis Campus of St. George’s Independent School, Perea Pre-school and most recently, the Collegiate School of Memphis. The Collegiate School will start with a seventh grade class in the fall of 2008 and add additional grades each succeeding year. This middle and future high school will serve children primarily graduating from the other Christian elementary schools. The total enrollment for all fifteen schools will be approximately 2,800. Charter schools are generally available for students of public schools failing to make adequate progress as defined by the state of Tennessee or students who fail proficiency tests at their school. Charter schools require private funding since state funding does not cover all operating expense or the cost of facilities. Ten charter schools are opened or planned with current enrollment of over 2,200. Two of these are operated by Christian Churches: Circles of Success Learning Academy by St. Andrew African Methodist Episcopal and Power Center Academy by New Direction Christian Church. Other charter schools of note are Soulsville Charter School, Memphis Academy of Health Sciences, Memphis Academy of Science and Engineering, and Promise Academy. Grizzlies Academy represents a third category of alternative schools. Technically a Memphis City school, it is considered a high performing, “break the mold” high school. These christian and charter schools represent alternatives to public schools with affordable tuition (zero in the case of charter schools). While relatively small versus the local public school system, these schools will continue to grow in the number of schools and, especially, in enrollment as many schools continue to add grade levels. They represent a vital and important alternative for inner-city children while representing a competitive push to many struggling Memphis City schools. If you are interested in finding out more of how you can get involved with affordable alternatives to Memphis public schools and specifically the schools mentioned in this story, please view our website for more information. I am interested in enrolling g my three children from adoption into one of these schools. We are new to the Memphis area a d children attended a township school in Indiana in previous years.